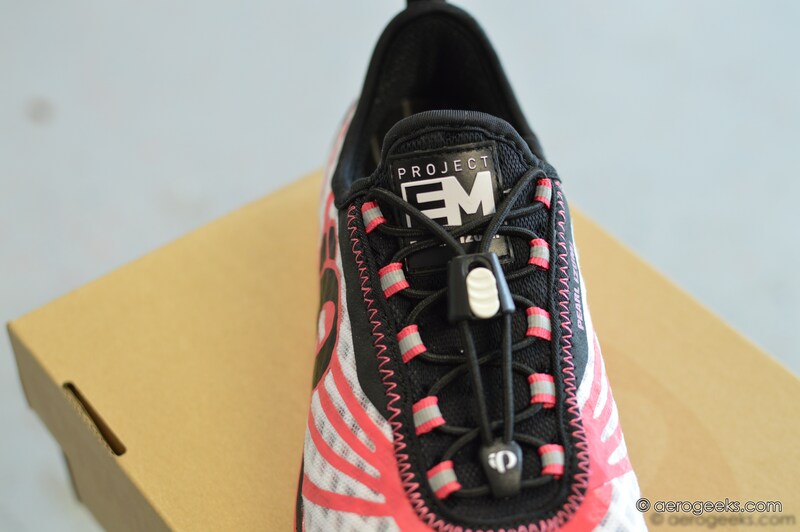 We fell in love with Pearl Izumi’s Project E:Motion Tri N1s a few months ago, and after many miles of training runs and a few races, we can safely say that (this wasn’t just a one night stand?) the love affair with these shoes is real. 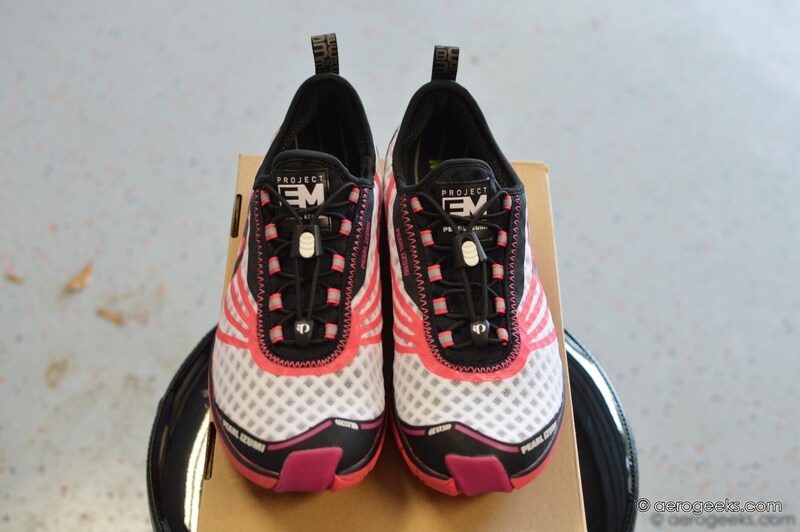 When we first looked at the Tri N1s (check out our first run article here), we discussed Pearl Izumi’s Dynamic Offset Technology. At that time the jury was still out on whether or not PI’s design would really lead to a smooth, comfortable run. Overall, we feel like that answer is yes. The Tri N1 was first unveiled last April and was built with shorter distances in mind—primarily sprint and olympic distances, for example (PI’s Tri N2 was built with a bit more cushion, and therefore weight, to meet the harsher demands of the long course/high-mileage training). 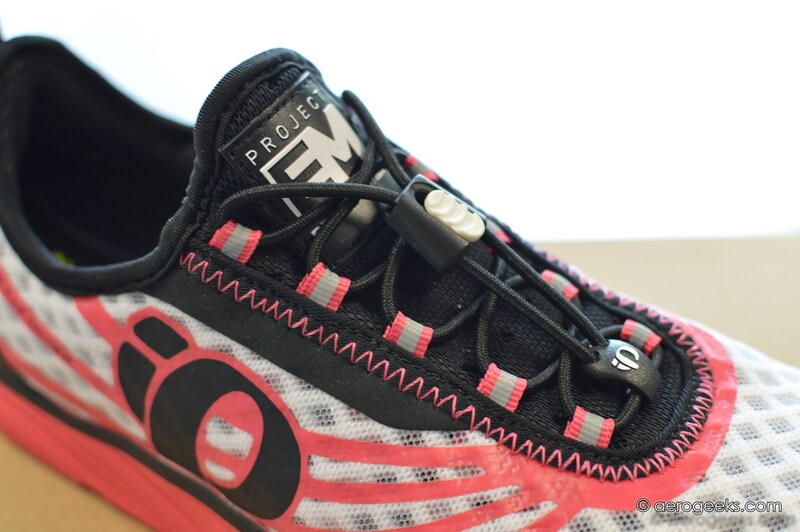 To find out what the Tri N1s were made of, we sported them for a few half marathons and several long training runs, and they met our needs mile after mile. 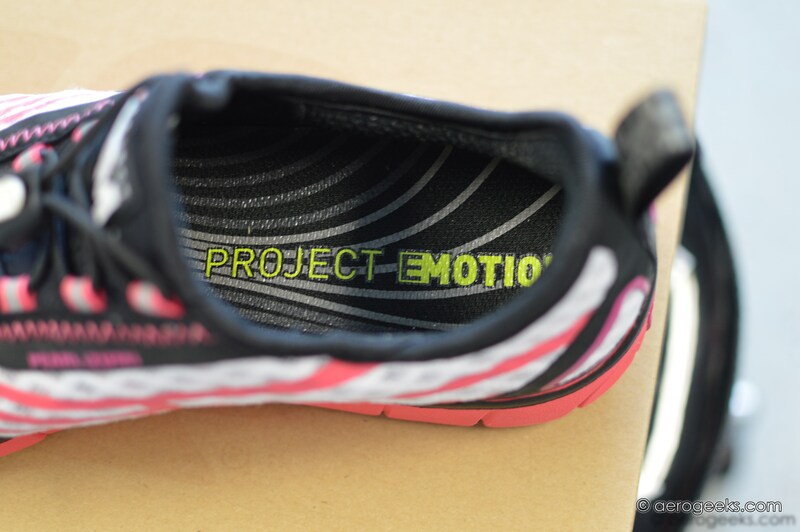 However, we’d tend agree with PI—these shoes are best suited for the short course. After all, the real beauty of this shoe is its responsiveness, which is exactly why we’d recommend them for those times where you need a quick, light shoe. While we experienced no issues with them during our longer runs over 10+ miles, we’d be definitely be curious to compare them to the additional cushion and support offered by PI’s Tri N2s for higher mileage. As we mentioned in our first run article, this is a shoe built with triathletes in mind, the Tri N1 features design elements that are engineered for fast and easy transitions—a seemless upper, stretch bootie, speed-lace construction, and a large heel pull-loop. We found it to be super-easy to slip our Tri N1s on and off in a hurry. The speed-laces were easy to operate and held tight once fastened in place. PI’s Ortholite Sockliner also promised a sock-like feel to prevent blisters and hot spots. And we can say that it did not disappoint. While we did most of our testing of the Tri N1s with socks, we did complete a few shorter runs and some transition practice without socks. We never experienced a single blister in our Tri N1s—even with wet feet. We only experienced some slight rubbing on the back of one heel after one run, but we’re pretty sure that was due to an improperly fitting sock. Overall, these shoes were extraordinarily comfortable. 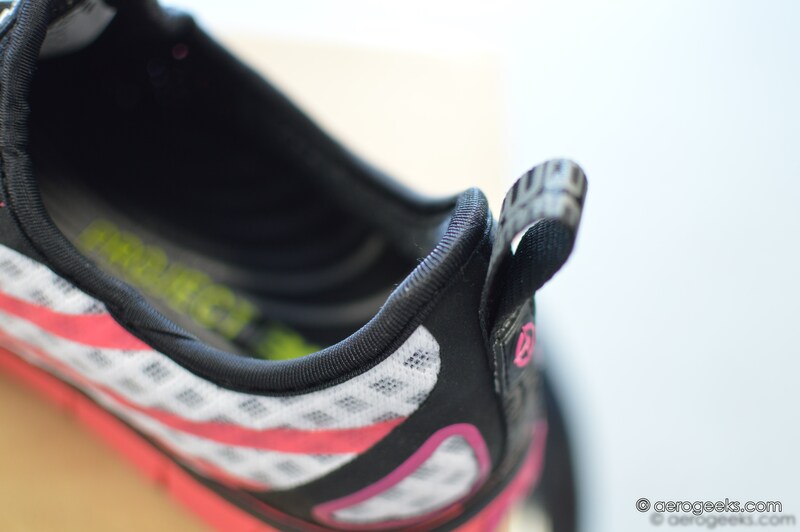 The Tri N1s two-layer of mesh construction kept our feet very comfortable and cool on every run. However, one thing worth noting for our readers in colder climates—this feature can lead to cold feet during cold morning runs. 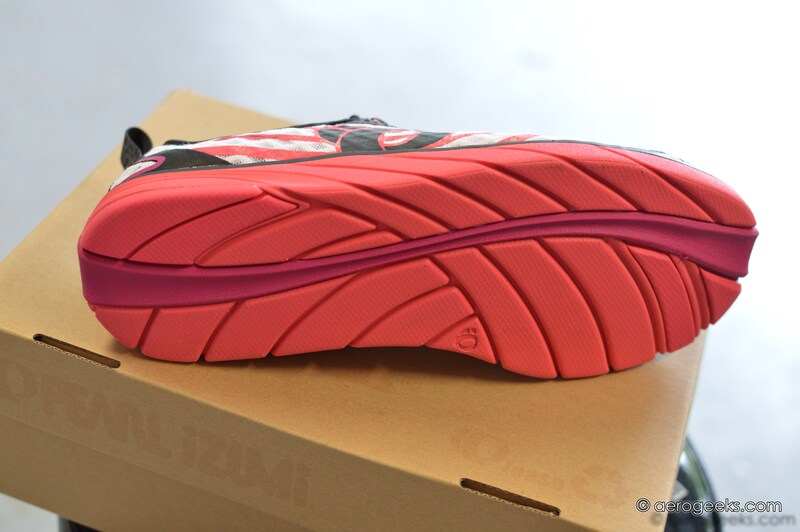 We tested the Tri N1s during runs in the high 40’s, and we have to admit that our feet were a bit chilly. If you’re planning to go for some winter runs with these shoes, you’ll want to be sure you’re wearing your cold weather socks. As for durability, our pair of Tri N1s has held up rather well. The soles are shoeing a bit of wear in places—especially since one of our editors tends to under-pronate. Overall, we’ve thoroughly enjoyed our time with our Tri N1s. 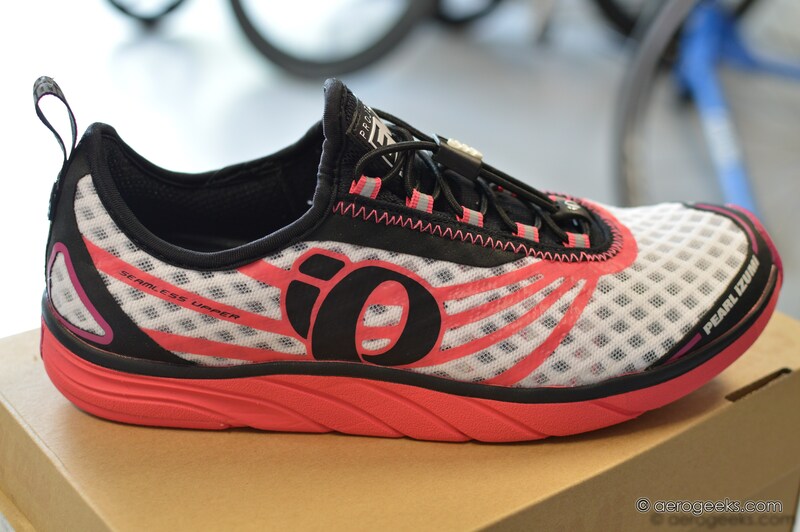 If you’re looking for a light, responsive shoe that can take you from a local 5K to sprint and olympic distance triathlons, we’d recommend investing in a pair. We know we’re looking forward to adding them to our shoe rotation for the 2014 season.